I’ve never been too fond of camera bags from companies like Ona. While they’re quite fetching, they feel too specialized for my tastes. I’m also bored by most backpack designs — they can look like frumpy sacks when empty and they lack the quick-access nature of the messenger bags I’ve enjoyed using over the past few years. So what’s most interesting about the Peak Design Everyday Backpack is it turns my preconception of backpacks and camera bags on its head. 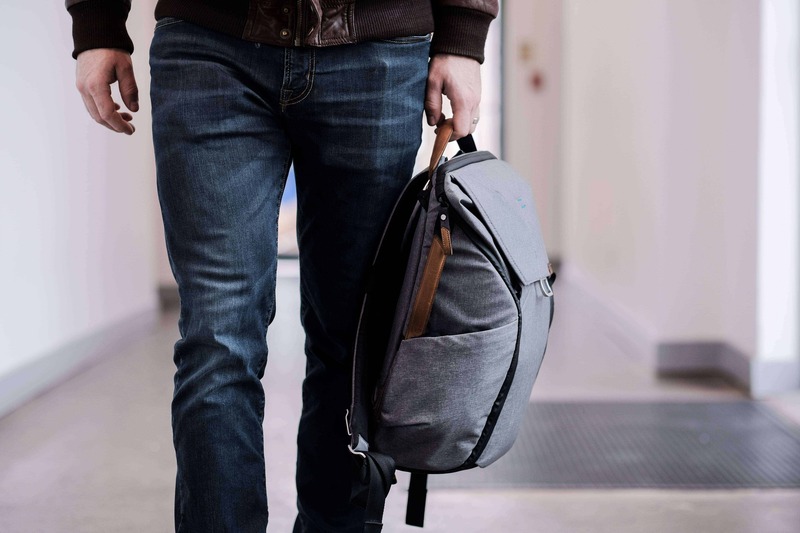 This is a backpack that is sleek, accessible, and incredibly flexible. 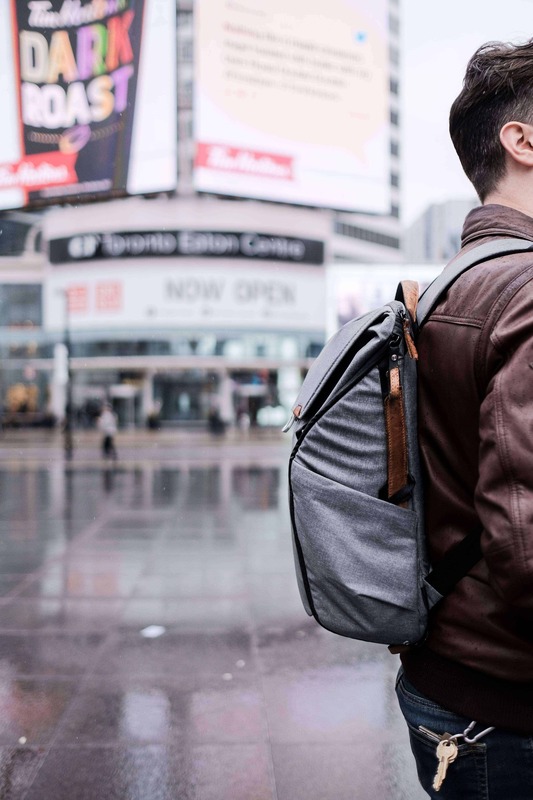 The 20L Everyday Backpack has a great slim profile for commuting. 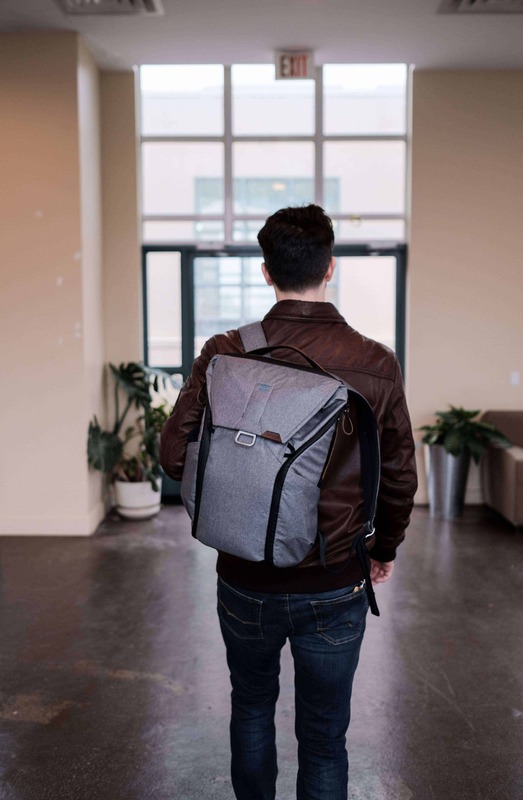 I was a fan of Peak Design’s work before they announced their Everyday Messenger bag in 2015. While I lusted after that bag for an entire year, I ultimately held off on the purchase. I don’t think Peak Design had hit their stride with the Everyday Messenger’s execution. It was slick and brought new ideas like the MagLatch and foldable dividers to the table, but it didn’t fully deliver on the promise of its design. The middle zipper was too small to use with the Fuji X-Pro 2, and placing my MacBook Pro into the rear felt like it took a lot of the practical space in the main compartment. It was still a dedicated camera bag. Rain or snow, you can trust the EDB to keep your stuff safe and dry. 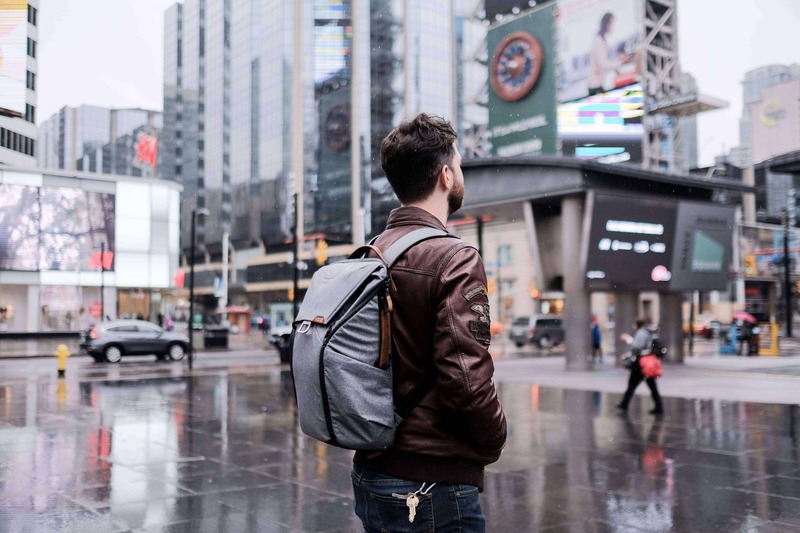 When Peak Design announced their new series of bags with the Everyday Backpack as the flagship product, I was cautiously excited. I purposely waited out the Kickstarter and pre-order campaign and I only ended up buying one when they finally went on sale in December 2016. I was concerned that the coolest features, like the zippered side access and external carry straps, looked great in video demos but be poorly executed in real life application. However, after about five months of usage and a ten-day vacation to test it out, I’m happy to say the Everyday Backpack is one of those rare products that really delivers on the hype. I love the Ash colorway — the gray and tan leather are a fantastic combination. When I show the Everyday Backpack to a friend, I tell them this bag feels more “engineered” rather than “designed”. 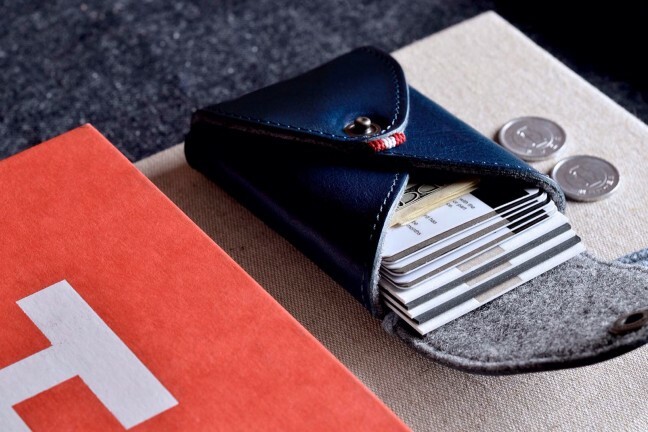 It looks great, but it’s jam-packed with functionality that has really been thought out. 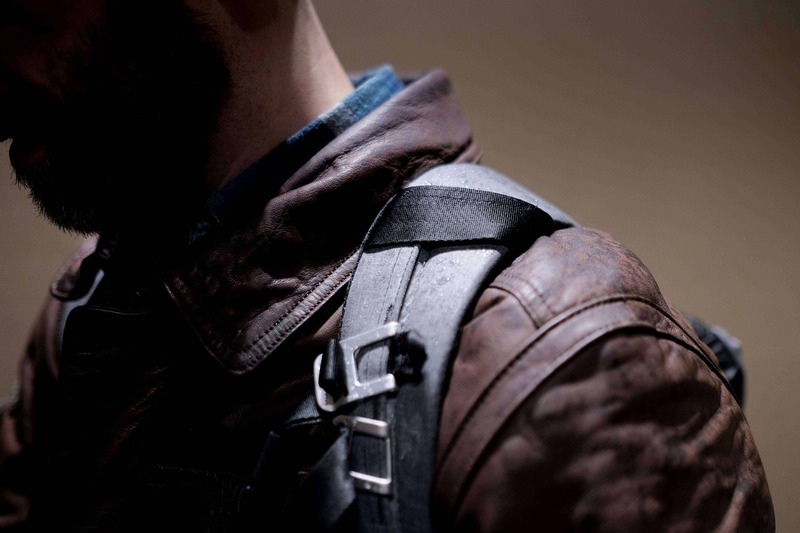 The top of the EDB has a great carry handle and a lock for the zippers. 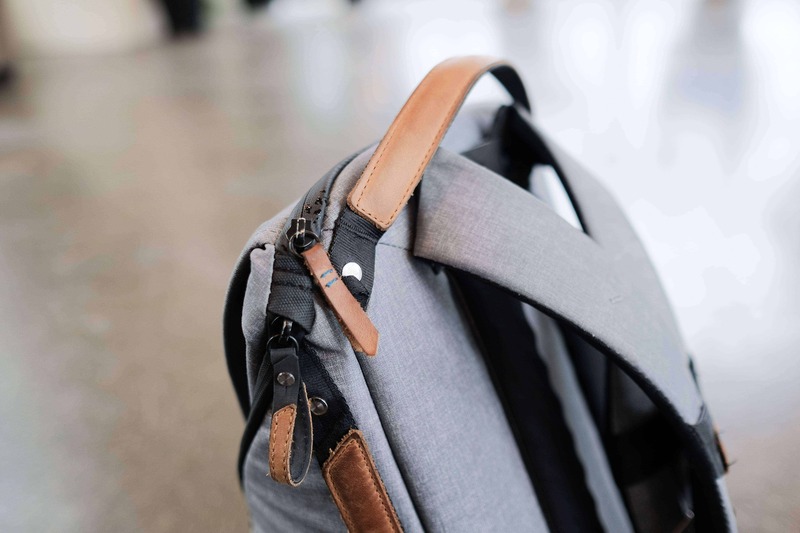 The best thing about the Everyday Backpack is the ease of access — between the MagLatch at the top and the two zippered panels along the side, you can reach into the Everyday Backpack from basically any direction. This makes the 20L carrying capacity much more meaningful — you can find any item (big or small) at any time. The 20L backpack came with three Flex-Fold dividers, which essentially form a set of ribs for the interior of the bag. These dividers can be completely removed from the bag to create larger compartments, or folded up to create dedicated storage areas for lenses, cameras, or other items. The bottom divider slot is for my X-Pro 2, the middle stores an extra lens, and the top area can hold my A6000. I was initially concerned these dividers would not be strong enough to handle heavier loads and that the velcro fasteners might simply rip off the interior wall, but the connection is very strong. I’ve carried two 2L bottles in the top compartment and nothing in the bottom compartment was under any extra pressure. Peak Design says it best: this is a totally dialed-in design. I also love that, because it only expands vertically, the Everyday Backpack takes up roughly the same amount of space regardless of whether it’s stuffed full or nearly empty. This is a killer feature for commuting. The default layout of the bag is to have the three dividers aligned horizontally, one on top of the other. The top-most divider acts as a shelf for everything in the MagLatch compartment. This is where I keep headphones, lunch containers, and on occasion, my Sony A6000. A quick tug away from the bag loosens the clasp, and another tug downwards releases it. The “ladder” design along the exterior can add up to 8L of storage space in the top compartment and still close the bag down without fear of anything slipping out. It’s easy to keep two cameras in the bag: one in the dividers and another in the top compartment, kept safe by the MagLatch. You don’t need to lock the clasp either — resting the latch against the bag is enough to activate the magnet and keep the lid from opening. This backpack really feels like a true everday bag. I can stuff it with photo gear when I want to head for a Saturday shoot, and I can empty it for a big grocery shop on Sunday. The same bag handles both tasks with aplomb. The EDB has a pair of zippers that run the entire vertical length of the bag. Opening one of them up will expose some or all of the contents, depending on how your dividers are set up. But the genius of this design is its synergy with the shoulder straps along the rear. These straps are wide and comfortable, but they’re also on a swivel, and easy to tighten or loosen. The straps are thick enough to cushion the weight of the bag, and the swiveling design keeps them contoured to your shoulders. Peak Design’s tri-glides aren’t really unique, they just go the extra mile with webbing that makes it easier to tighten and loosen them. 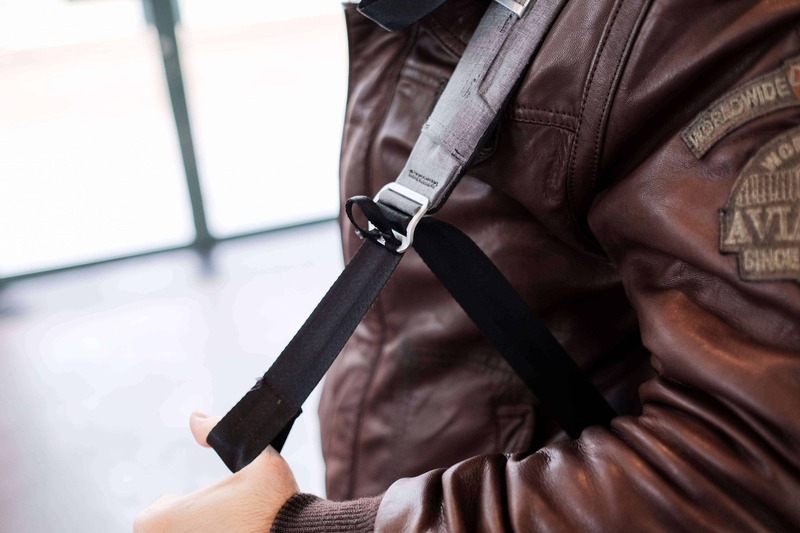 This enables you to take the bag off a shoulder and swing it around so that you can access a side zipper to gain full access to the backpack, all without ever taking off the backpack. 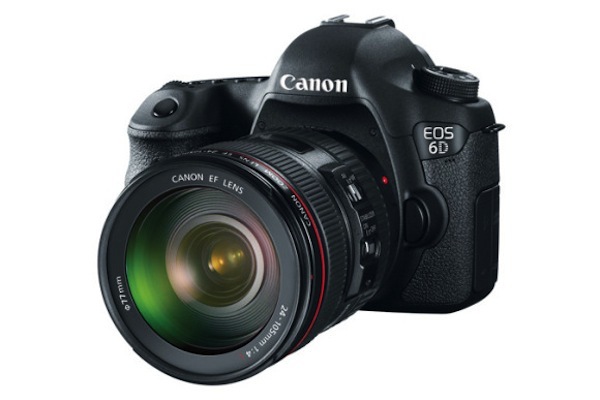 This is great for quickly swapping lenses. Expandable zippered pockets line the sides of the EDB, great for cables or hard drive storage. 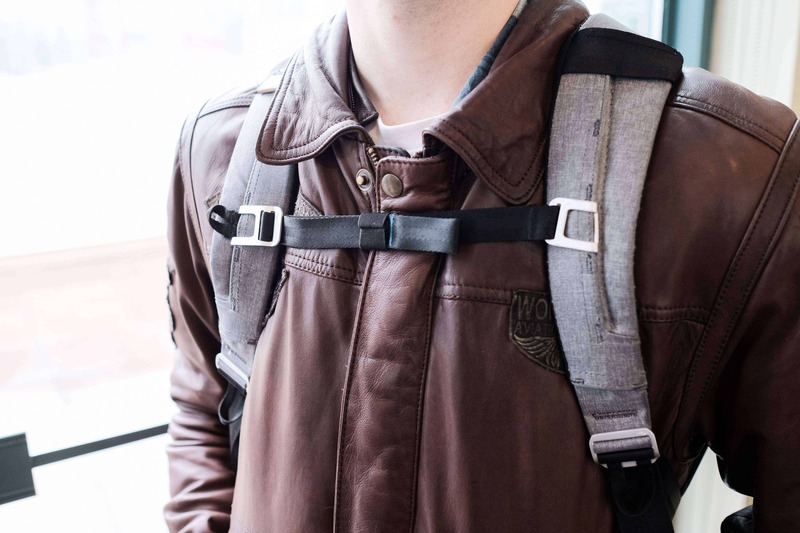 These swivelling straps and side zippers make for a backpack that is nearly as fast and accessible as a messenger bag. The added advantage, of course, is that you get to keep all the weight spread across two shoulders. After years of carrying a messenger bag, I’m really enjoying the comfort of a backpack, especially for laptop and iPad carry. 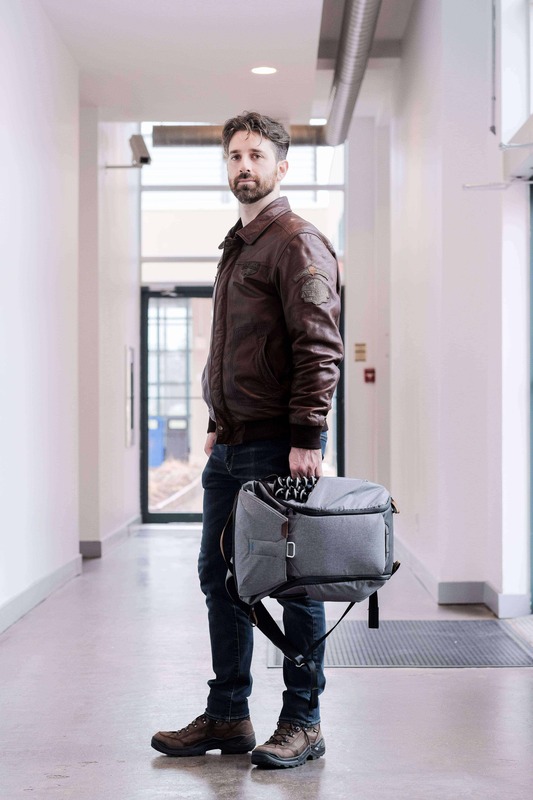 The very top of the Everyday Backpack has a zippered compartment with a large pocket for laptop chargers, really big smartphones, and folded documents you don’t want to lose. The laptop and tablet compartment. Just below that pocket is a dedicated sleeve for a 10-inch tablet and a 13-inch MacBook Pro. Unfortunately, the tablet spot does not fit the 12.9-inch iPad Pro. I tried. This is probably the one weakness I’ve found in the 20L Everyday Backpack: it doesn’t handle letter-sized documents or multiple large devices very well. 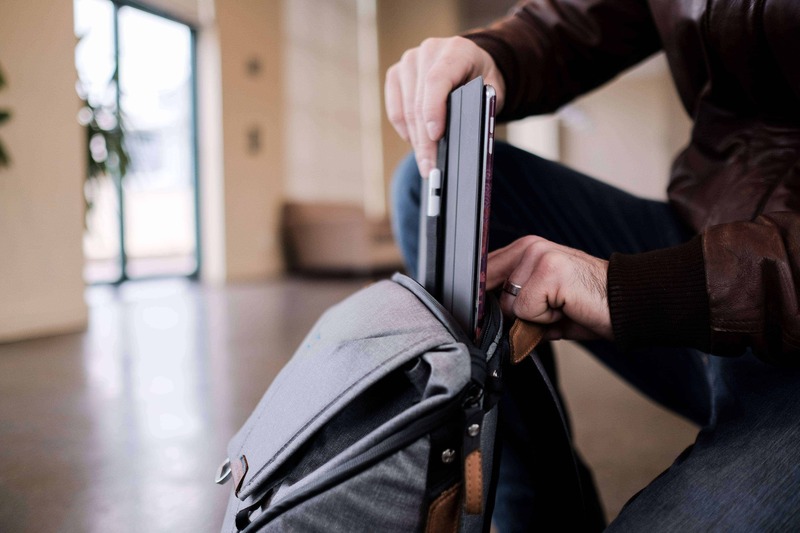 You either use a thin 15-inch laptop and a 10–inch tablet, or you’re out of luck. I love this detachable sternum strap. 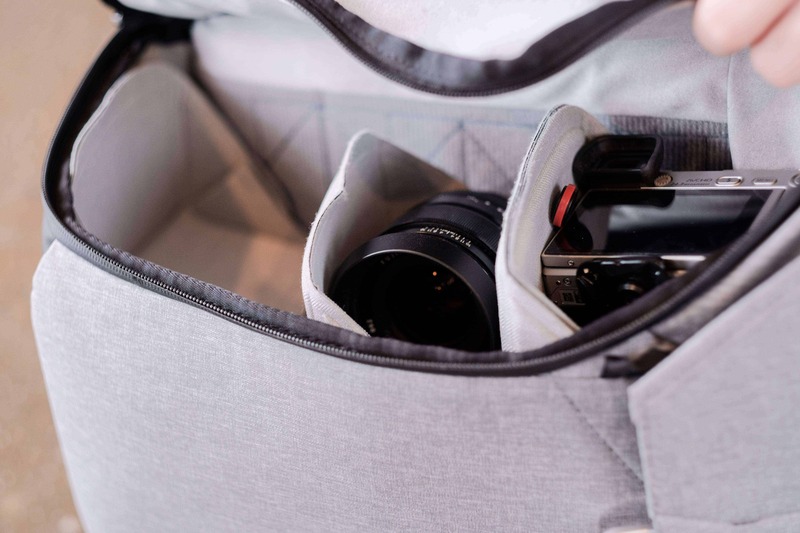 The sternum strap can be fastened with one hand and helps to stabilize the bag, especially if you want to use a Capture Clip to store your camera externally. 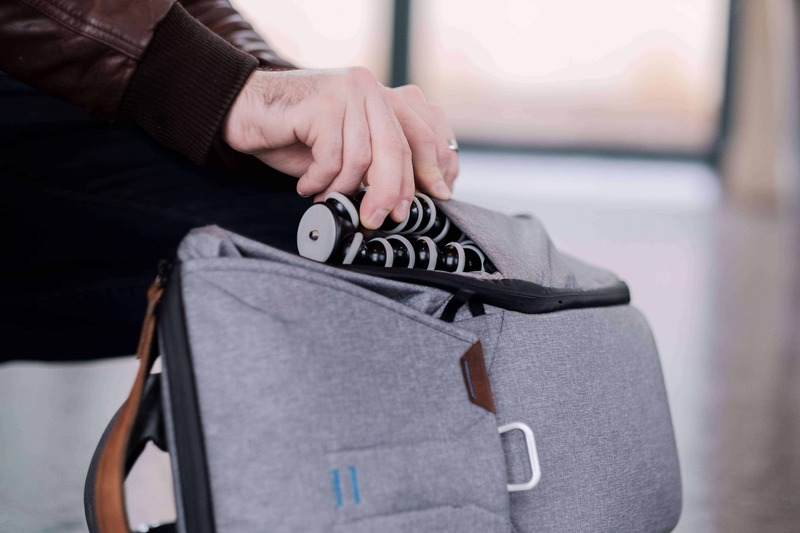 A Joby GorillaPod sits very neatly in an outer pocket for easy access. 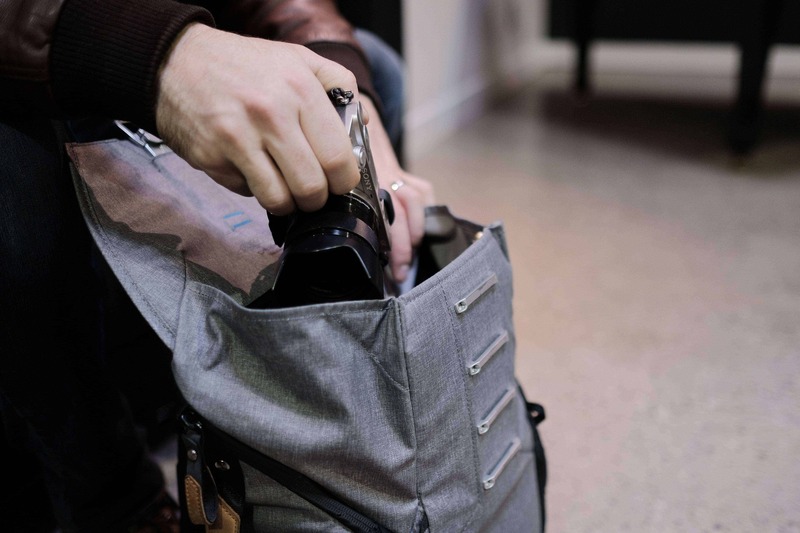 Outer pockets are large enough for water bottles, umbrellas, and even tripods. The elastic that keeps them tight will inevitably relax over time, but there’s a magnet near the opening so it looks neat, even when empty. There’s also a hidden waist strap in each outer pocket, but I took this out after the first month — the sternum strap was always enough. 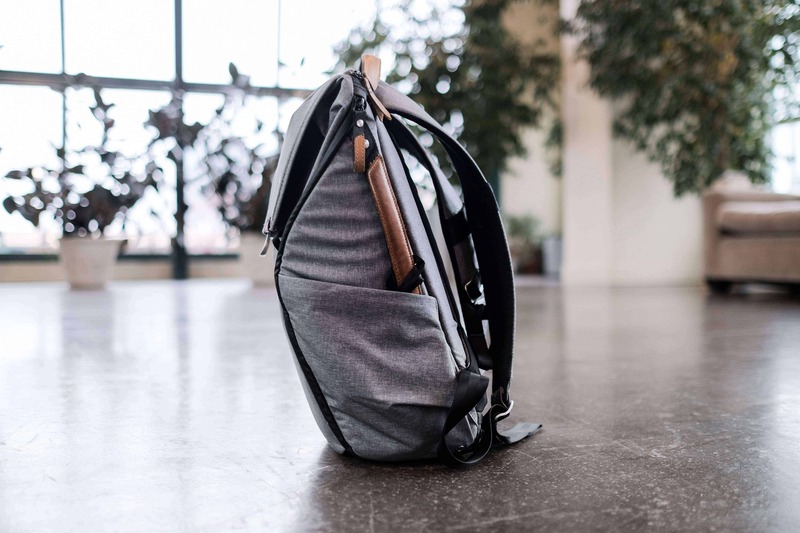 Two pairs of webbing straps with G-hooks are hidden away in the pockets along the exterior, and you can use these to carry yoga mats, drones, and other larger objects that won’t fit inside the interior. This is a handsome bag when worn on the back or carried in-hand. The shell and zippers are all weather-resistant, and I’ve gone for extended walks with the rain pouring down. This isn’t a bag you’d go white water rafting with, but it will handle those situations where the sky chooses to cry in copious amounts. The bottom of the bag is waterproof, so you can set it down on wet surfaces without concern. The carrying handles along the top and sides are padded and very comfortable to hold. They’re perfect for packed subway rides or for hauling the bag out of a car. I’m smitten with the Ash colorway for its leather accents and the perfect shade of grey. If you prefer a stealthier look, there’s nothing wrong with the Charcoal colorway. 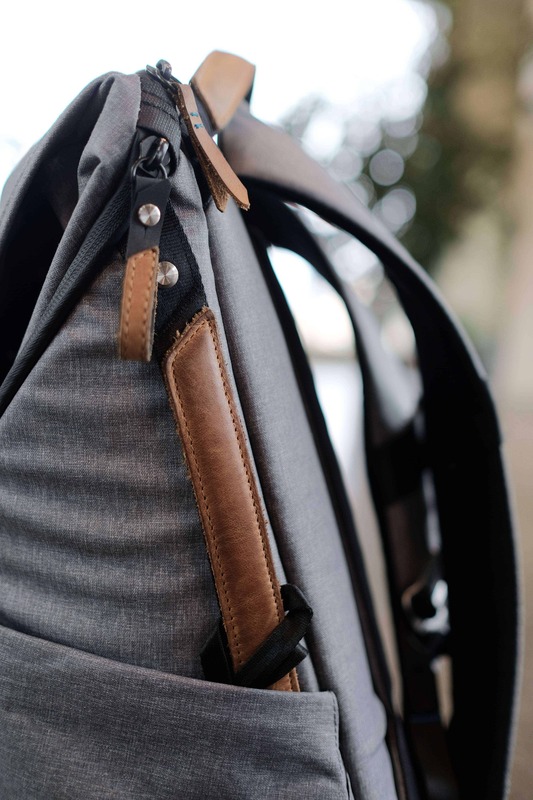 Gray and brown go really well together on the Everyday Backpack. 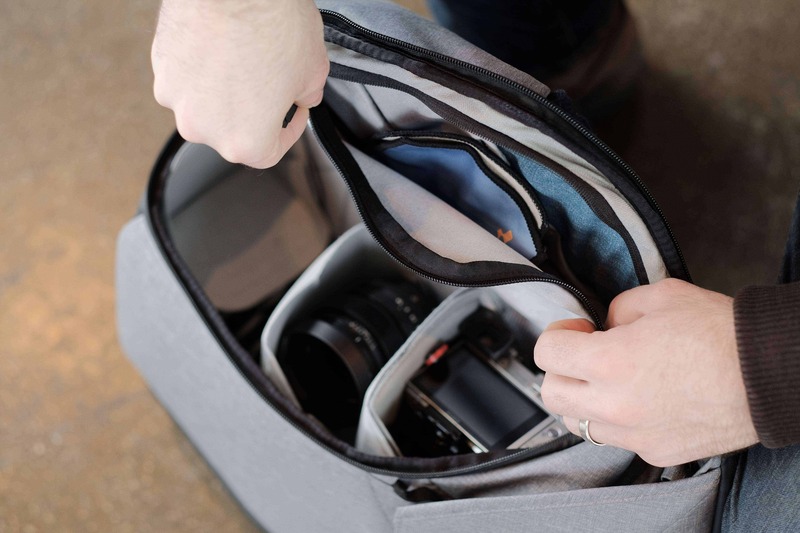 The 20L size will fit most DSLRs and any mirrorless camera with a few lenses, and still have enough for lunch in the top compartment. The 30L still maxes out at about a 15-inch laptop laptop, but the rest of the bag gains about 50% more volume and a larger overall profile. I don’t want a large bag most of the time, so I feel like the 20L strikes a great balance for size and weight. I always end up over-compensating for the amount of space the EDB takes up while walking. 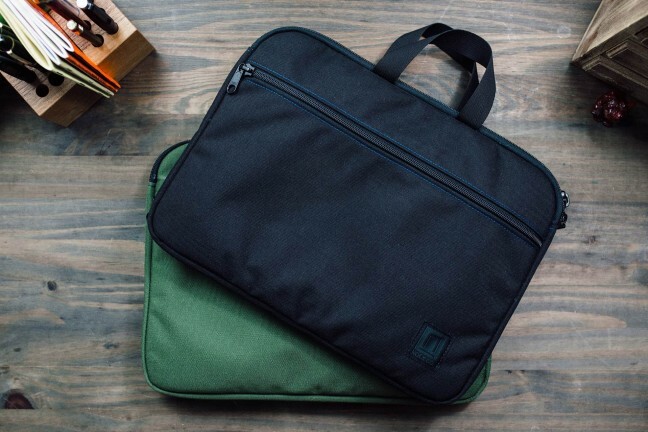 It’s actually really slim and great for commuting and traveling. I don’t think I’m done with collecting bags for good. But for right now, I feel like I’ve reached peak bag (no pun intended). It’s hard to believe there’s a design that feels like it does it all. But, at $260, the Peak Design Everyday Backpack is actually cheaper than all the other bags I’ve purchased. 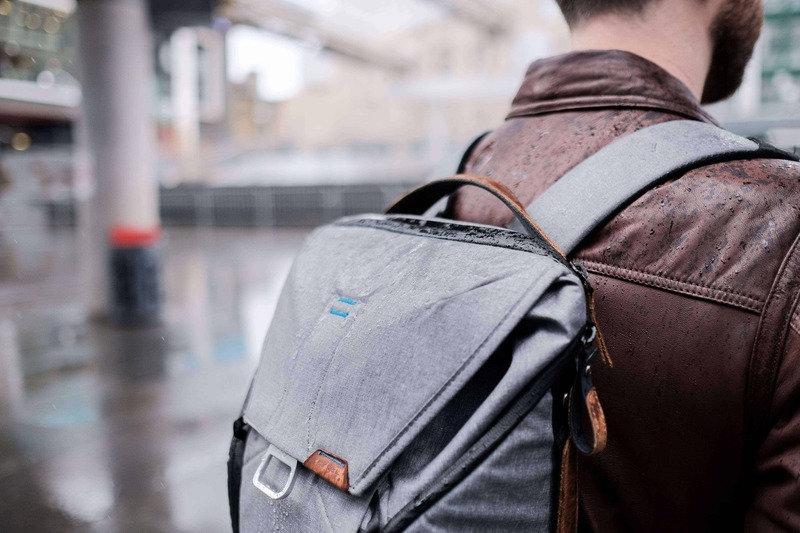 The Peak Design Everyday Backpack somehow has a design that does it all. This one isn’t made out of leather, or hand-made in Italy, or designed in LA, but it’s still a masterpiece in its own right. I continue to be surprised by how well designed this product is, considering it’s really Peak Design’s second bag. 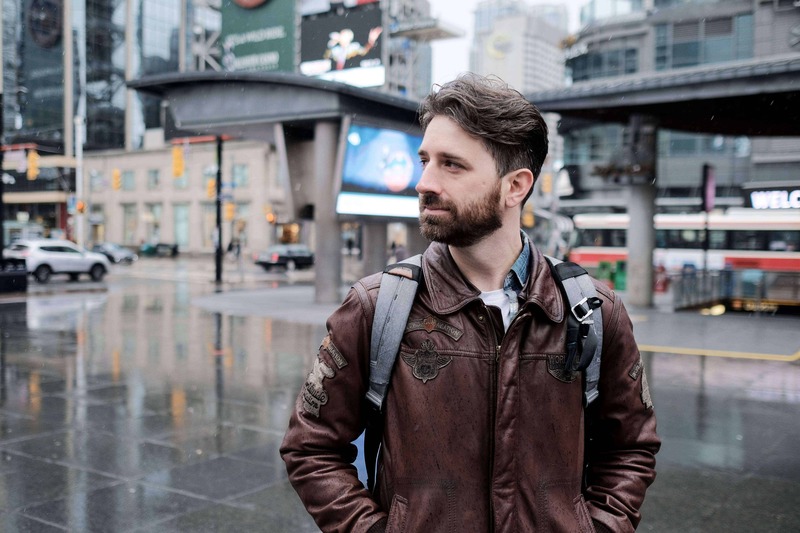 It isn’t a bag for every single situation, but it’s the best everyday bag I’ve found — it never forces me to compromise on carrying a camera just because I’ve got to bring other gear along.